Aggregate automatically NZB search results. Easy. Quick. Clean. 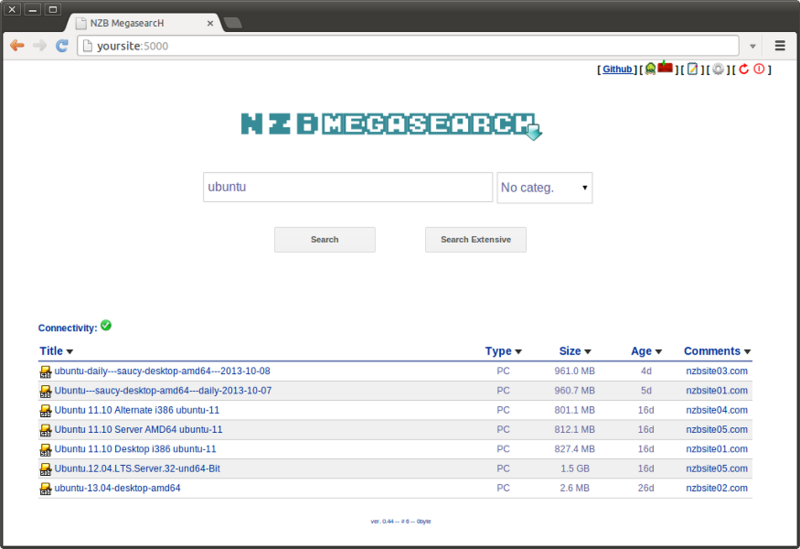 NZBmegasearcH collects all your (not only) newznab-based accounts to one place. It is your meta-search engine and your SB, CP unique NZB provider.